The wait is finally over. 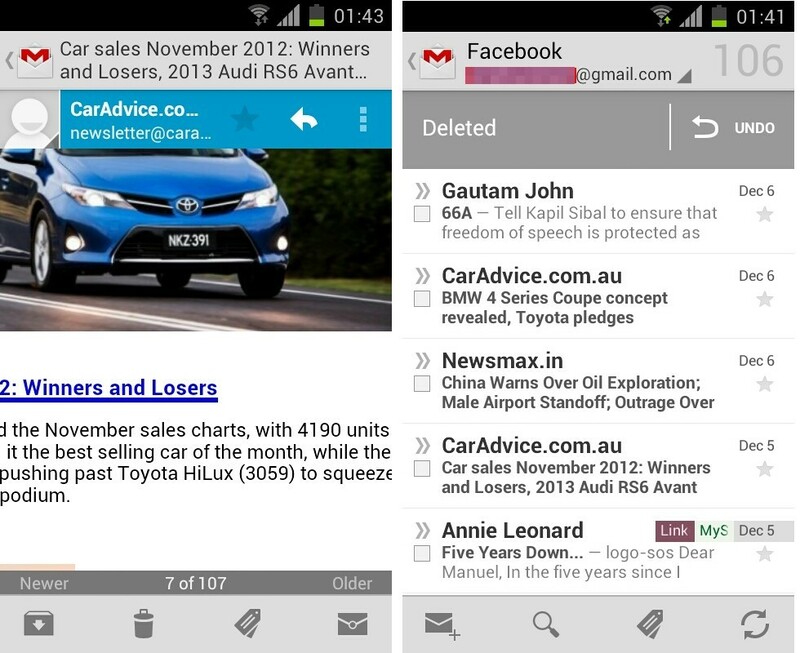 Official Gmail for Android app now supports pinch-to-zoom action. This was perhaps one of the most requested feature by users of Gmail app. Apart from that, the new app also brings in features such as swipe to delete/archive action, attaching of photos and videos from within Gmail, larger photo previews, gallery view of photos among others. Auto-fit messages to screen and message zooming. Swipe messages to archive or delete. Attach photos and videos from within Gmail. Larger photo previews and gallery view for photo attachments. All these changes are released for Android 4.0 ICS and up only though. And there's one more thing. Pinch to zoom is NOT enabled by default in this new update, you have to manually enable it in the Gmail app settings. Download Gmail for Android from Google Play.